CINCINNATI, Jan. 24, 2019 /PRNewswire/ -- The Kroger Co. (NYSE: KR) today announced that Ashok Vemuri has been elected to the company's Board of Directors. Mr. Vemuri is chief executive officer of Conduent, a global digital interactions company. He joined the company as CEO in 2016 as it was preparing for its separation from Xerox in January 2017. 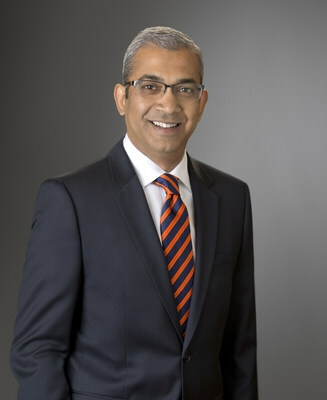 Prior to Conduent, he served as president, CEO and a member of the board of directors of IGATE Corporation (now Capgemini), a global technology and services company. Before IGATE, Mr. Vemuri spent fourteen years in a variety of leadership and business development roles at Infosys, a multinational consulting and IT services company, where he joined as a business development manager and rose to serve as a member of the board. "We are delighted to welcome Ashok to Kroger," said Rodney McMullen, Kroger's chairman and CEO. "As we enter our second year of implementing Restock Kroger, Ashok's deep experience leading several digital and technology services companies will be a tremendous asset to Kroger's Board of Directors." Mr. Vemuri is a member of the CEO Action for Diversity & Inclusion. He holds a Bachelor of Science degree from St. Stephen's College, Delhi, and received his MBA from the Indian Institute of Management, Ahmedabad. Mr. Vemuri is elected to serve until Kroger's annual meeting of shareholders in June 2019. At that time, he will stand for election by the shareholders.